For many who are diagnosed with Borderline Personality Disorder (BPD) self harm and/or self mutilation are maladaptive or pathological attempts to ward off the repressed pain of unresolved abandonment trauma that lies at the heart of BPD. If you hurt yourself you are hurting the wrong person. You are hurting a person, a being, an inner-child that has already hurt, and been hurt, enough. You do not have to continue to cycle the patterns of your past. While hurting yourself may feel like a relief or like a release for your feelings or a way to avoid your feelings - it is abusive. It is you, abusing you. If you were abused, sexually, physically and/or emotionally as you were growing up -- your hurting yourself is you taking on the role of your abuser and is you turning on yourself. For many diagnosed with Borderline Personality Disorder self harm and/or self mutilation is a way to defend against what is the repressed pain of abandonment trauma that threatens to obliterate what fragmented piece or pieces of self the borderline has any sense or awareness of at any given moment. Self harm/self mutilation in BPD is an attempt to keep that deep and profound intrapsychic pain repressed and to regulate the agitation often felt with the arousal of what are dissociated from dysregulated emotions. When a borderline harms, injures, or mutilates him/herself, he/she is re-abandoning him/herself. This is abandonment at its most profound. When you abandon and re-abandon your self (even in the absence of any connection with or relationship to that "self") you will be projecting this out on to anyone else with whom you come into contact or are in relationship with or to. You will then perceive that you are being abandoned by everyone else. This projection is the mirror in which borderlines live their lives merely as reflections of others and of a "self" sought after and longed for. In his book, Lost In The Mirror: An Inside Look At Borderline Personality (2nd Edition), Richard Moskovitz, M.D. writes: "Self-mutilation may be as simple as superficial scratches on the skin with fingernails or a blunt instrument, or as tragic and complicated as the surgical excision of a body part. Some injuries are visible to all while others are well hidden. Some are inflicted with elaborate ritual, while others convey special meaning that can be deciphered by the knowledgeable observer like the hieroglyphics in an ancient tomb. These injuries are often mistaken for suicide attempts." "Whether burns or cuts or penetrating wounds, these self-inflicted injuries are the products of compulsion. Like other compulsions, a buildup of tension leads to an irresistible urge, and the tension is discharged by the act." "Self-injury brings horror to the hearts of family members. They may also view it with anger as a form of defiance. Because it presents serious risk to health and life, it may become the occasion for an involuntary hospitalization. Extreme measures, such as constant observation or physical restraint, may be brought to bear to prevent the more serious forms of self-injury. 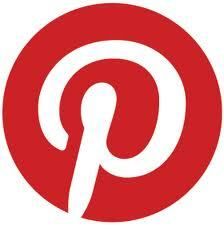 The power struggle that follows may become one of the forces that keeps the compulsion alive." "To the borderline person, self-mutilation may be rich in meaning." When I was borderline I had no idea why I used to cut myself or smash my fists in to cement walls. In retrospect now, years after my recovery from BPD, I can say that I did experience my own self harm in all of the ways that Moskovitz describes below. Here he summarizes that guilt over real or imagined wrong-doings or inappropriate behaviour is punished through self-mutilation. Moskovitz writes: "Self-Mutilation may be a particularly fitting punishment for the crime of forbidden sexuality." When I was punishing myself I was re-living the shame of feeling so broken that I literally felt not only was everything I did wrong but that I was just wrong. Borderlines often equate how they feel with what they think. They often link what they feel, but are actually thinking, with what is. For example, when I was borderline, harming myself out of shame even though I didn't know that consciously then, the feeling that everything I did was wrong led me to believe that I, as a human being, was wrong. In other words this "wrongness", at times, was experienced as my entire persona or identity when I was borderline. Moskovitz suggests that a body part, through splitting, may take on the symbolic meaning of all that is bad about the self. The body is then punished for the sins of the owner and made a scapegoat. I made my body a scapegoat of my own borderline self-hatred which was an introject of how my parents (who were my abusers - and abuse = abandonment) had used me as a scapegoat for their own borderline dysregulated emotions. Here Moskovitz explains that visible forms of self-mutilation catch the attention of others and invite rescue. He suggests that for many borderlines, feeling out of control, self-mutilation as a cry for help may be an unconscious plea for hospitalization, for the kind of structure that can provide the safety that the borderline is unable to provide for him/herself. When I was borderline self harm was definitely a cry for help. It was a cry for help that I wasn't really consciously aware of however. It was a dysfunctional and unhealthy attempt to capture someone's rescue. Often, I think, as was the case with me, the cry for help comes too often and with too much chaos and drama - too much demand - too much neediness - and at the same time I would make put out this cry for help - the pull for someone to come closer, to care, and to rescue me, I would also put out the biting punishment of bitter borderline distancing in what was a mixed message that is often referred to as "get-away-closer". Often the borderline's cry for help almost dares "other" to have the courage to sacrifice him or herself to the borderline in what is an absolute "no-win" situation for both no matter what happens next. When I had BPD, and in my recovery from BPD, I learned, without doubt, I could not be rescued. I had to find my own way out. I had to find my own way in therapy through to the pain of my core wound of abandonment and then learn to tolerate that pain until it could be resolved. When I was borderline I would cut myself or punch walls to transfer what was really emotional pain and suffering that I did not really feel at all into the physical so that I then felt it was acceptable to feel pain. Moskovitz explains here that, for many borderlines, emotional pain can often seem unbearable and so the self-inflicted pain can serve as a distraction from emotional distress that feels intolerable. It can also be another way to convey to others that you are hurting. Self mutilation is the way that many with BPD attempt to control or regulate what are out of control and dysregulated emotions that the borderline doesn't even have conscious awareness of or insight into. Many borderlines, in the face of emotional pain that they feel is unmanageable, end up in a rather numbed state where they aren't feeling their feelings at all. This state of being then builds up an intolerable situation after a period of time and leads the borderline to injure him/herself as a way of renewing contact with the world of sensation. When I would cut myself it was, when I had BPD, the way that I cried. The blood flowing was my body's way of crying. It was a release. For years I never knew this or why the release was needed. It was directed pain in an attempt to be in control of all that I actually felt and was so out of control with. In the process of my recovery from Borderline Personality Disorder I had to stop the self harm in order to truly allow the pain of my core wound of abandonment to rise up from the centre of my lost authentic self so that I could feel it. If a borderline doesn't learn to feel it, tolerate it, and grieve it, he or she cannot heal it. Moskovitz says that this type of self-mutilation often contains symbolic messages for self or others within it. When I was borderline at the heart of my self harm was the primal scream of my wounded inner-child who was left abandoned, fragmented and dissociated from whoever I was then (the pieces of me) in a way that was its own profound abandonment. An abandonment second only to my original core wound of abandonment. Moskovitz makes it clear here that most with Borderline Personality Disorder have experienced physical and/or sexual abuse, self-abuse often represents a reenactment of the early injury. This reenactment is a compulsion as well. It is a compulsion to reenact past traumatic events in what are viewed as efforts to create a new, happier ending to what are painful memories. This is seen also as a way of developing some emotional continuity between past and present. I, myself, went through this for years. I have not, however, had any impulse or desire to harm myself now for about 15 years. For me it is truly a thing of the past. It was not an easy transition though from self-harm to self-care. As much as there are, as Moskovitz and other professionals will attest, impulses and compulsions behind this behaviour I believe, from my own experience that this behaviour is also a part of choices made. Sometimes, choices made subsconsciously until one understands on a more conscious level what is going on inside and what is driving the choice to self-mutilate. Choices, nonetheless. As someone who has been through Borderline Personality Disorder and recovered from it, and who knows that often indescribable pain and agony I can truly attest to you, here and now, that continuing to harm yourself, look to others to rescue you and provide you with a safety that you need to learn how to provide for yourself is holding you trapped in the pain of BPD. It keeps you lost to yourself, separated from your lost inner-child and continually re-abandoning yourself, and others - and yourself through others. It is truthfully more painful to stay trapped in those cycles then it is to face the pain that all this self-harming behaviour seeks to defend against, avoid and escape. The truth is that this pain is not escapable. It will perpetuate itself in your experience until you decide to face it, to feel it, and to let go of the self-mutilation as a defense. Do you really need to punish, sacrifice, cry for help, give yourself and/or others coded messages, and keep yourself trapped in your past by constantly reenacting it? Has that worked for you? I mean, really worked for you? Or do you find that it just leaves you feeling abandoned over and over as you experience relational rupture after relational rupture. Ruptures that when you have BPD always seem like someone else's fault? The answer to these questions, in my experience, was no, self harm did not work for me - it kept me stuck in the active agonizing throes of Borderline Personality Disorder for years. And with that answer, and some determination I made a vow to my inner-child almost 20 years ago now that I would never again hurt her because I was still experiencing past pain. After all it is that little one in each and every one of us that has felt, held and carried that pain for years. Your little one needs you today. Just as you need yourself. Through grieving this child's pain you will then connect to your authentic self (inner-child) and further integrate your past experiences into your adult life. This is the emotional maturation needed to overcome BPD. When you are much more connected to your true self you will then be able to connect to the world in ways which build relationships in the here and now as opposed to the borderline way of trying to re-live and fix past relationships from the past in your here and now which ruins those present-day relationships, alienates you, leaves you isolated, lonely, and feeling that profound re-abandonment over and over again. Self-Mutilation is abandonment of the already abandoned dissociated from fragmented lost authentic self. It is living in and through your false self. It is not your destiny. It is not what you deserve. It is not the measure of your worth. Your past and any and all abuse suffered in your past is not a reflection on who you really are or the inherent worth that you have because you simply are, you. Believe that. Trust that. Seek to know and find your lost authentic self and you will find your way out of this most painful, trapping and self annihilating behaviour. You deserve so much more. You deserve to feel and to heal the pain that you have lived with for so long. And when you choose to do just that you really can do just that. I won't sugar-coat it, healing that pain is often a long process, it is involved and it takes dedicated determination and the shedding of millions of tears. What it all comes down to is self-mutilation or releasing your self from the legacy of your past and your most profound pain. You cannot learn to soothe yourself while you are still hurting yourself and perpetuating all the pain that you have had inflicted upon you in your past. Before I could get to my pain and heal it I had to stop all my self harming behaviour. To do anything less would never have been enough to further integrate my inner-child and to gain the trust of this most precious and hurting little one. In order to find new ways of coping and to be able to find and feel your pain you must first make the decision to stop the self-mutilation that, for many borderlines, is running and further ruining their lives. © A.J. Mahari, May 30, 2008 - All rights reserved. A.J. 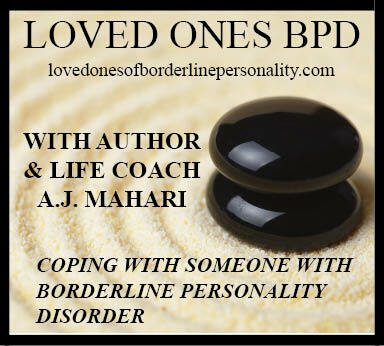 Mahari is a Life Coach, BPD and Mental Health Coach who, among other things, specializes in working with those with BPD and family members, friends, relationship partners or ex-relationship partners of those with BPD (non borderlines).